The Walking Dead has added another Whisperer for Season 9 of the hit AMC show. 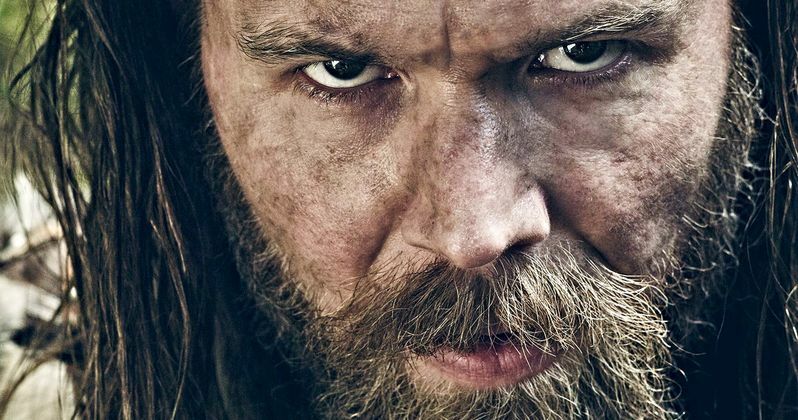 Sons of Anarchy star Ryan Hurst has joined the cast as the villainous Beta in a recurring role. The casting news comes after it was revealed over the weekend that Cassady McClincy is taking on the role of Alpha's daughter Lydia. Alpha is the leader of the Whisperers who will be played by Samantha Morton in the upcoming Season 9 of The Walking Dead. While Alpha is the leader of the Whisperers in The Walking Dead comics, Beta is the second-in-command and Alpha's loyal bodyguard. In Robert Kirkman's comics, Alpha, Beta, and Lydia show up after the All Out War storyline. The Whisperers are survivors who are able to thrive in the apocalypse thanks to the use of skin suits that they use to disguise themselves as the dead. Carl Grimes was a big component of the Whisperers story in the comics and how they interacted with Rick Grimes, so it will be interesting to see how the story unfolds without him. Robert Kirkman has expressed his fondness for Sons of Anarchy plenty of times over the years, so it's easy to imagine that he's pretty excited to have Ryan Hurst, who played Opie on the show, be a part of The Walking Dead. In addition to SOA, Hurst has also appeared in Disney's Remember the Titans and Bates Motel, where he played Chick Hogan. It was also recently revealed that Hurst has been cast in the upcoming fifth season of Bosch, which streams on Amazon. Beta will be a new type of role for Ryan Hurst to take on and will require some pretty intense makeup as he wears the skin of the dead on his face with the rest of the Whisperers. The character also hides his identity, like a silent superhero. Early in the comics, Beta runs into Negan, and isn't terribly impressed with the man, who is hatching a plan to kill Alpha, the leader of the Whisperers. Negan is successful in the comics, which ends up making Beta the new leader of the Whisperers and creates a new intense war. The Walking Dead Season 9 is preparing to premiere on October 7th, and will get fans ready to say goodbye to Andrew Lincoln's Rick Grimes character. It's going to be a huge change for the AMC series, one that Lincoln is looking forward to. With all of the recent castings, the future of the show can go in a bunch of different directions, leading to all new twists. It isn't clear how Grimes will exit in the storyline, but Lincoln says that it will be satisfying for long-time fans of the show. The latest casting of Ryan Hurst in The Walking Dead was first announced by The Hollywood Reporter.